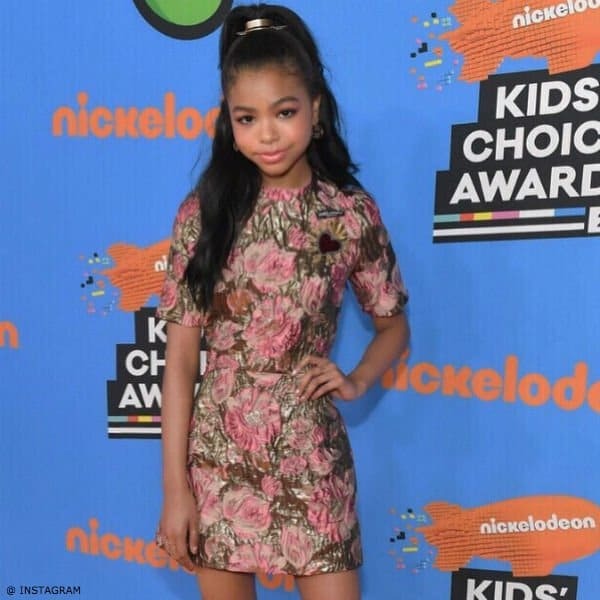 12-year-old actress Navia Robinson from Free Rein, Raven’s Home & The Vampire Diaries was spotted on the red carpet wearing this gorgeous Dolce & Gabbana Mini Me Pink & Gold Jacquard Dress at the 2018 Nickelodeon Kids’ Choice Awards at The Forum in Inglewood, California. As part of the “Love Christmas Collection,” this luxurious Dolce & Gabbana Pink & Gold Jacquard Dress is available for Spring Summer 2018. 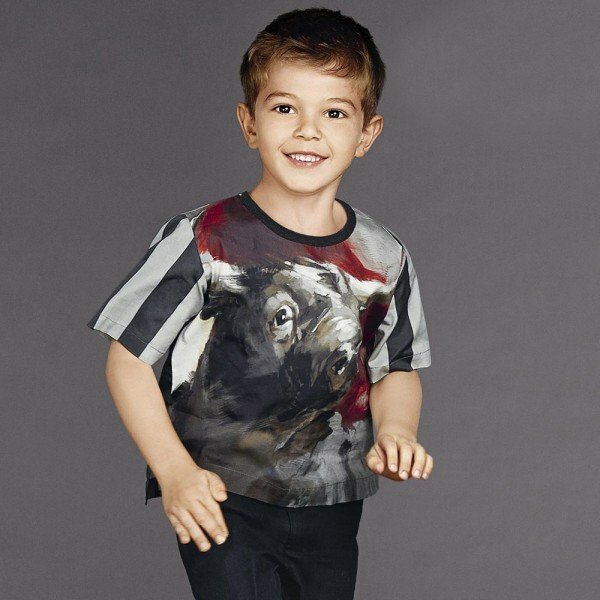 Little girls can look just like their mummies in this stunning, Mini-me Dress by the iconic Italian fashion house Dolce & Gabbana. Made in shiny gold jacquard with pink flowers, it has a beautiful red velvet and embroidered gold heart appliqué and logo embroidered on the front. Photo Source: Instagram.